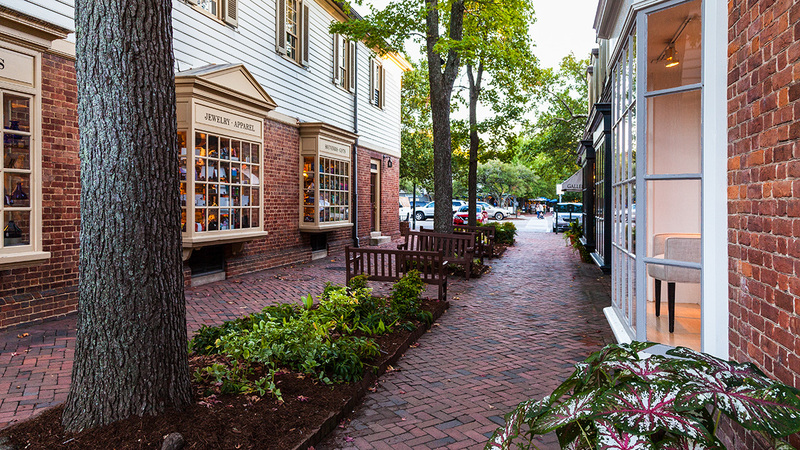 Originally laid out by Lieutenant Governor Francis Nicholson in the early 1700s, the ambitious twentieth-century restoration of the town center was supported by John D. Rockefeller, Jr. Beginning in 1927, more than 600 non-period buildings were demolished, 100 restored, and 350 reconstructed in the Georgian style, including the Wren building and the Old College Yard of the College of William and Mary. 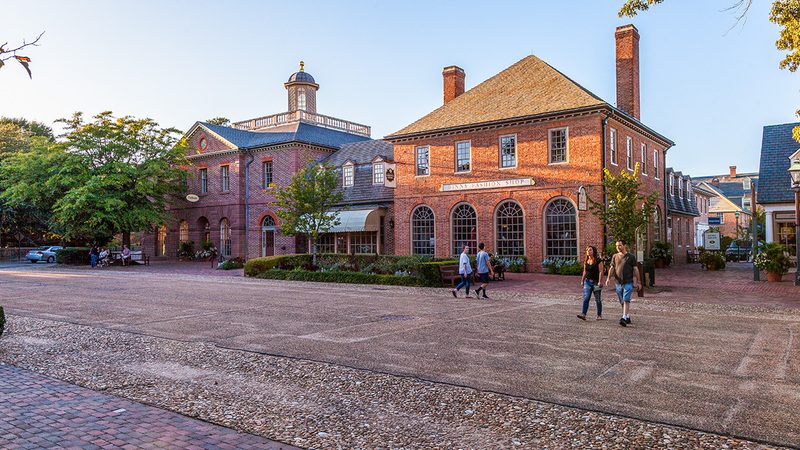 The College, the nation's second oldest, serves as a counterpoint to the Colonial Capitol Building at the opposite end of Duke of Gloucester Street. 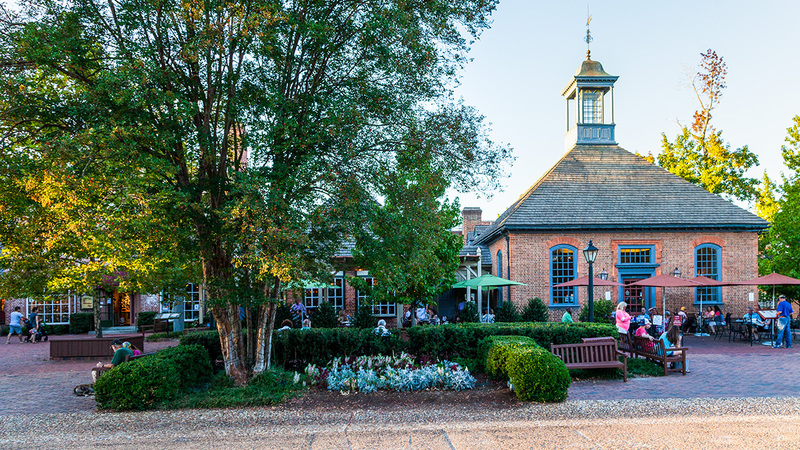 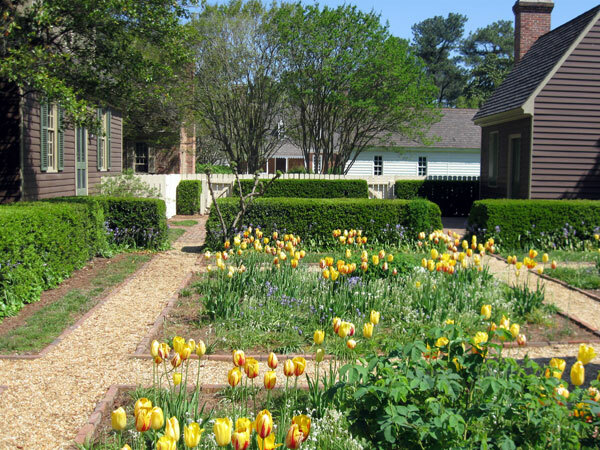 Using conservation easements and large land purchases, Colonial Williamsburg has sought to preserve views and keep the arrival experience as non-commercial as possible. 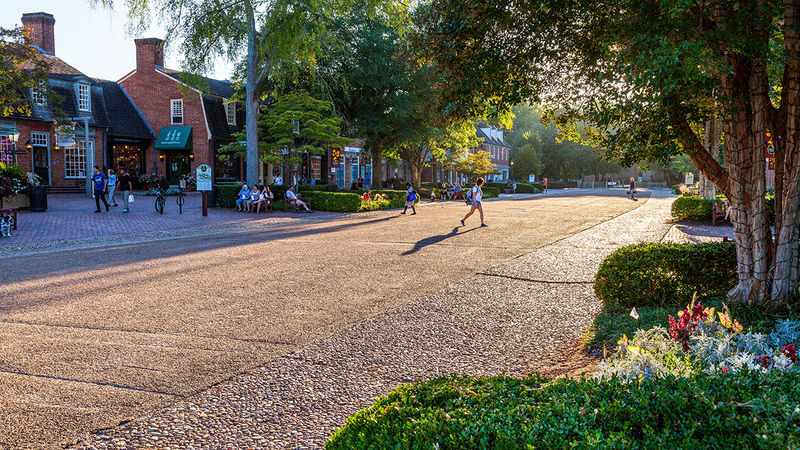 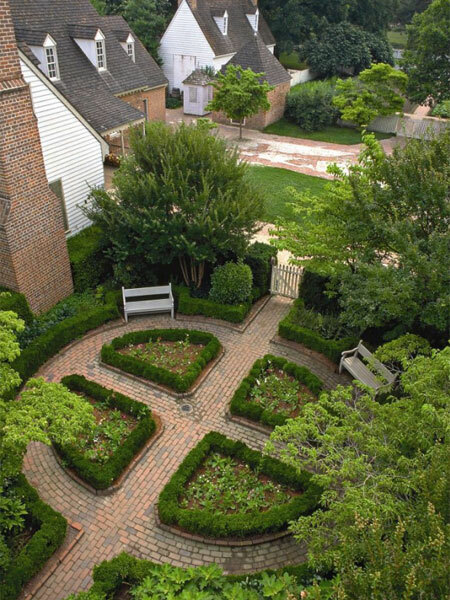 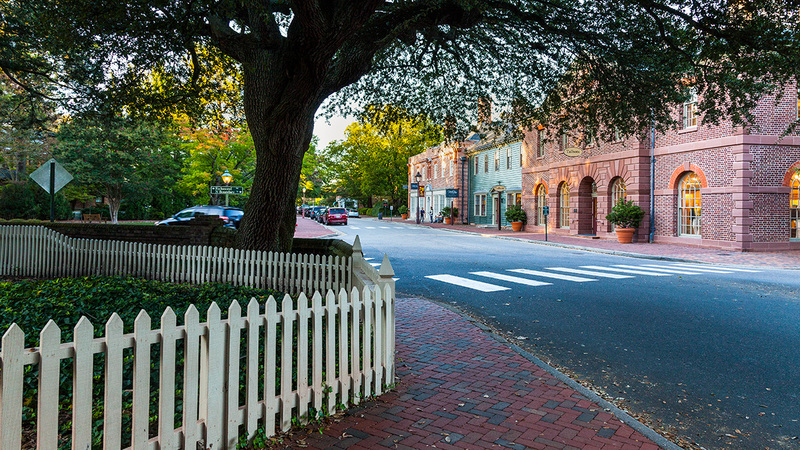 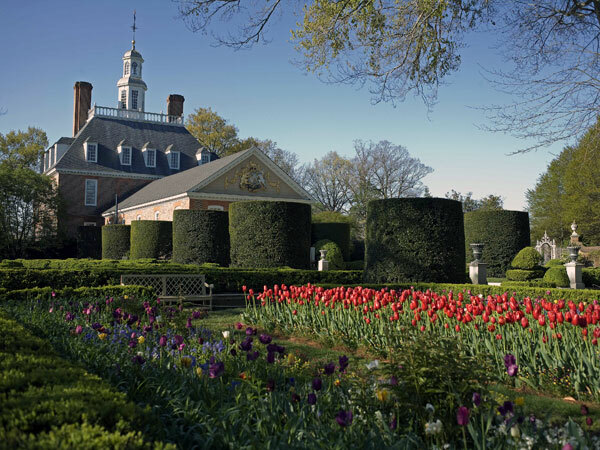 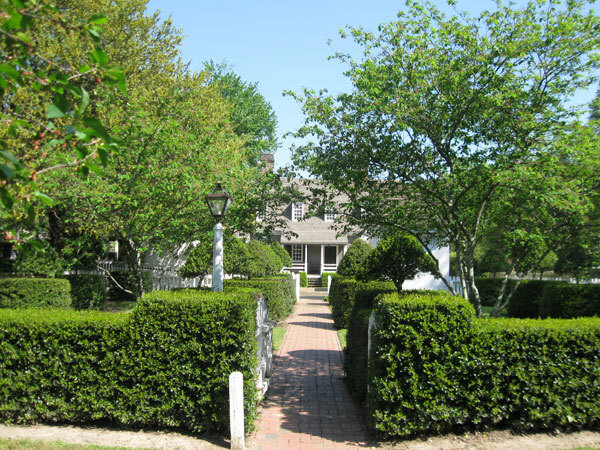 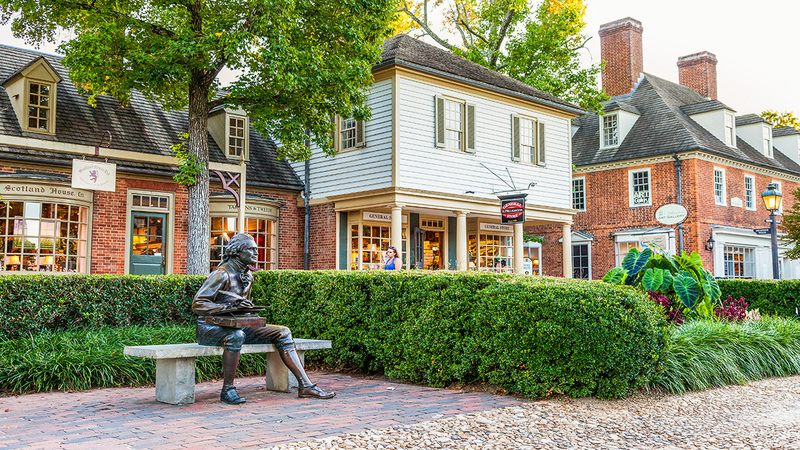 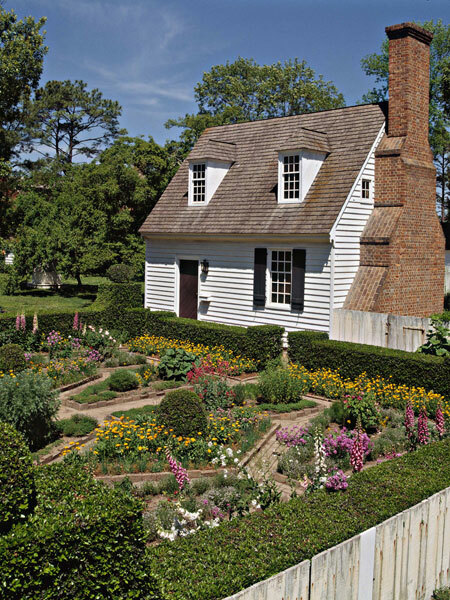 With a historic area of 301 acres, Colonial Williamsburg was named a National Historic Landmark in 1960.